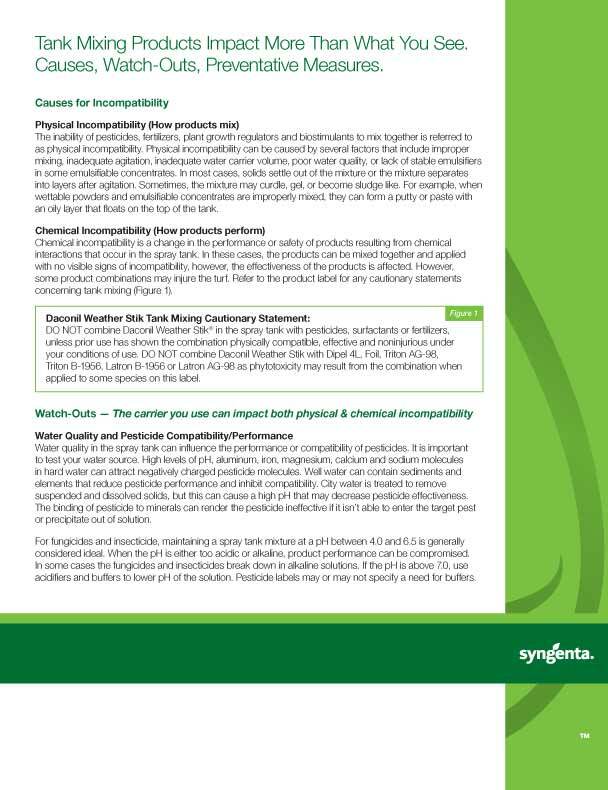 View the Labels/SDS information for Secure Fungicide. 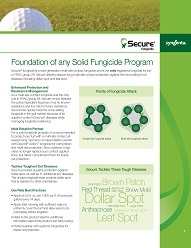 Secure® fungicide is a multi-site contact fungicide, in a unique chemical class, for golf courses. It contains the active ingredient, fluazinam, and is the only registered fungicide for turf in FRAC group 29. It has no known resistance and as a multi-site contact, it has very low risk of developing resistance. Secure is the ideal rotation partner with Daconil® Action™ fungicide for season-long protection against the toughest turf diseases with no interruptions. Now, systemic fungicides no longer replace your contact applications, but rather compliment for inside out protection. Secure not only provides superior protection against dollar spot, but also controls 10 additional turf diseases. It even controls dollar spot that is resistant to other chemistries. Unique multi-site contact active ingredient. Secure delivers season-long multi-site contact protection against the most difficult turf diseases. 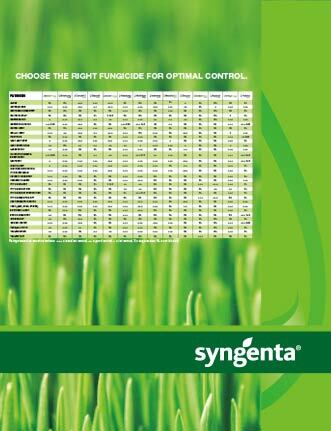 ®Secure, Greencast® is a trademark of a Syngenta Group Company. Daconil® Action™ is a trademark of a Syngenta Group Company. Secure® is a trademark of Ishihara Sangyo Kaisha, LTD.